India’s government has a bold goal for deploying renewable energy: 175 gigawatts of electricity-generating capacity by 2022, including 100 gigawatts of solar power. The country has a history of promoting renewable energy and a rapidly growing portfolio of solar and wind projects, but meeting the solar target alone will require a growth rate equivalent to doubling India’s installed solar capacity every 18 months. It will also require a clear understanding of the three factors that drive energy demand in India (access, security, and efficiency); new federal and state policies and incentives; innovative financing for capital investments estimated at $100 billion or more; and additional funding for manufacturing, training, and job creation. Project developers will have to grapple with the cost and availability of land, grid connections, and backup power. To meet the electricity needs of the poor and encourage rural entrepreneurship, India’s energy policies should aim for a mix of grid— connected and decentralized renewable energy sources. Project developers, service providers, and investors have to understand consumer needs and behavior to offer appropriate renewable energy solutions. Complicating matters further, a major shift toward more renewable energy in India’s power supplies poses its own set of challenges—including the need for new policies; significant additional and innovative finance; investment in manufacturing capacity, skills, and jobs; and the ability to deal with the intermittent nature of the sun and wind. Although its dependence on imported fossil fuels has grown consistently, India has also had a long history of promoting renewable energy. Solar power advocates established the Solar Energy Society of India in 1976, soon after the first oil crisis. A joint government-private venture erected India’s first grid-connected wind turbine in the state of Gujarat 30 years ago. 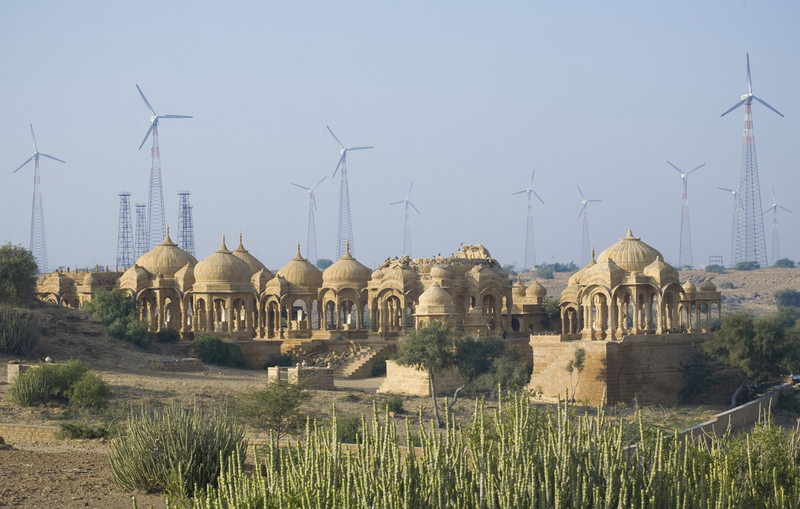 In 1982, the Indian government formed a Department of Non-Conventional Energy Sources, which became a full-fledged ministry a decade later making India the first country to set up a ministry dedicated to renewable energy. As of March 2015, of a total installed electricity generation capacity of nearly 270 gigawatts, India’s renewable energy sources (solar, wind, waste-to-energy, biomass power, and small hydro) accounted for about 12 percent of energy. 70,000 jobs. If 100 gigawatts of solar were installed, as many as 1 million short-term, and about 300,000 long-term, full-time jobs could be created. For 60 gigawatts of wind, another 180,000 jobs could be created. Renewable energy projects typically create more jobs per unit of electricity than from fossil-fuel-based power, and smaller-scale projects create more jobs than larger ones. This is another reason to encourage decentralized energy. To fill these jobs, aggressive training and skills development would be needed. This entry was posted in Aurora Silva, Renewable Energy and tagged Decentralized Energy, Energy Access, energy security, Green Jobs, India, renewable energy, Solar Power, Wind Power by Emil Morhardt. Bookmark the permalink.